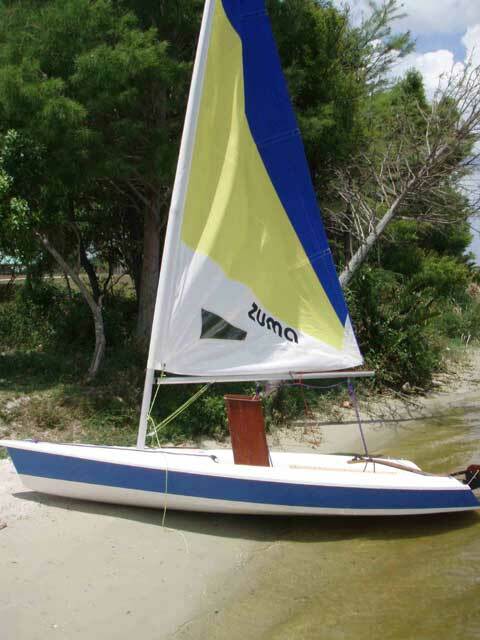 This fast, fun daysailer is like a laser but more stable and is a great boat for 1 to 2 people. 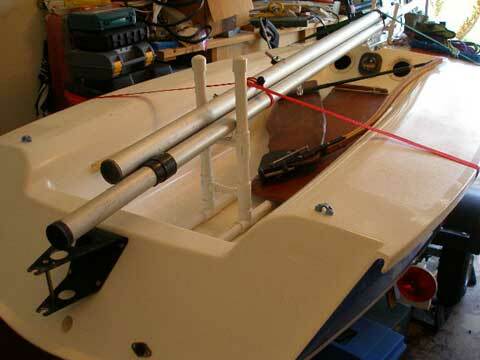 The seat tanks and 7 foot cockpit make for comfortable sailing. There is a beautiful built in compass and dry storage pockets. 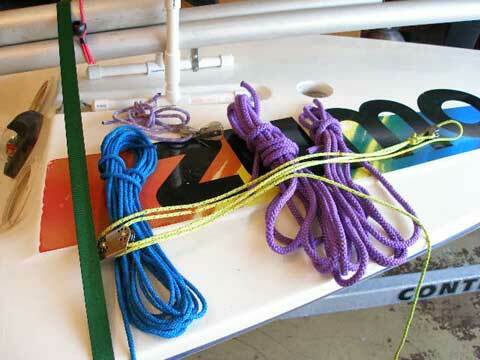 The boat, sail, rigging, daggerboard and rudder are in excellent condition. This boat is ready to sail. 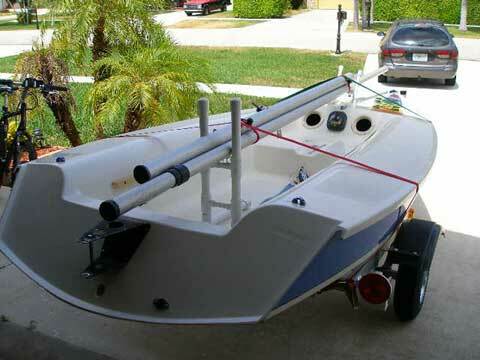 There are many lakes in this area that are perfect for this boat. In Broward there are lakes at Quiet Waters and Markum park, and in Palm Beach county there are Lake Ida, Lake Osborne and Okeeheelee. Of course there is always the ocean, Biscayne Bay and Lake Okeechobee. 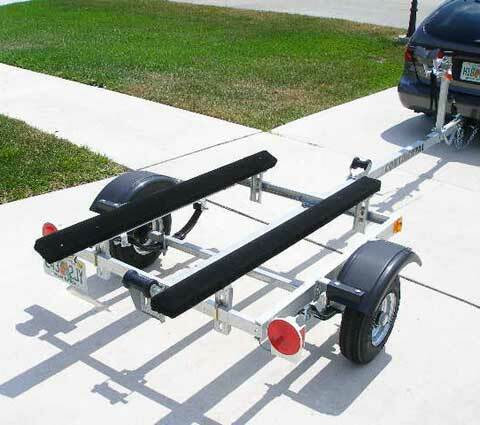 The custom trailer is brand new and has a one year warranty. The boat can be easily moved by two people or can be cartopped. 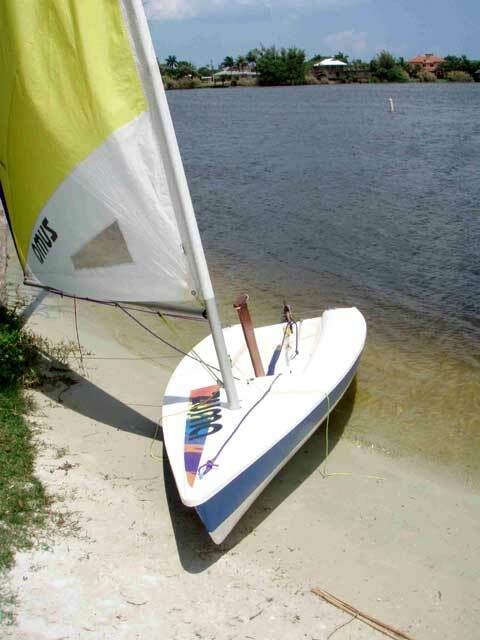 This a great boat for a beginner and if you are new to sailing I will include a 1 hour sailing lesson on a local lake. Thank you very much. 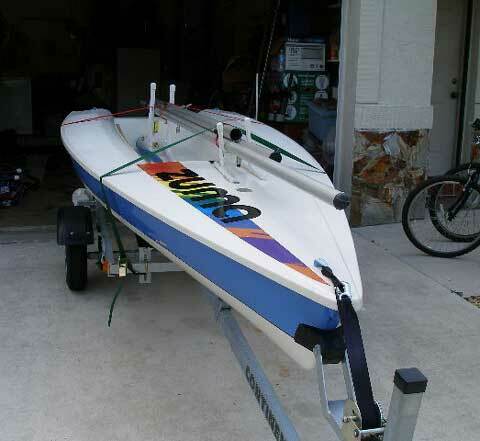 My boat has sold. Thanks again and best of luck in your buisness.